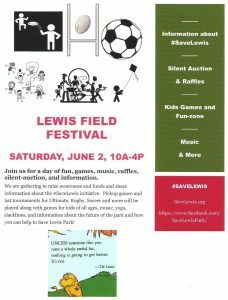 Come out to Lewis Park on June 2nd, from 10am to 4pm, to help us raise funds t save the park. 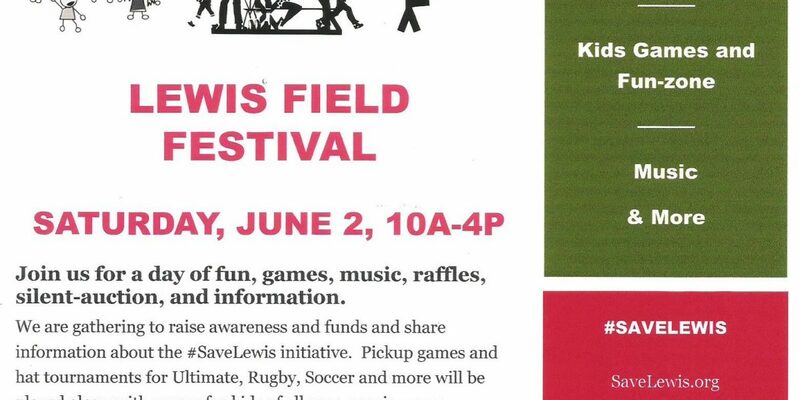 There will be sports, food, music, raffles, silent auction items, and much more! Facebook Event Link.